1. Make sure reboot / cold boot works fine on this system. 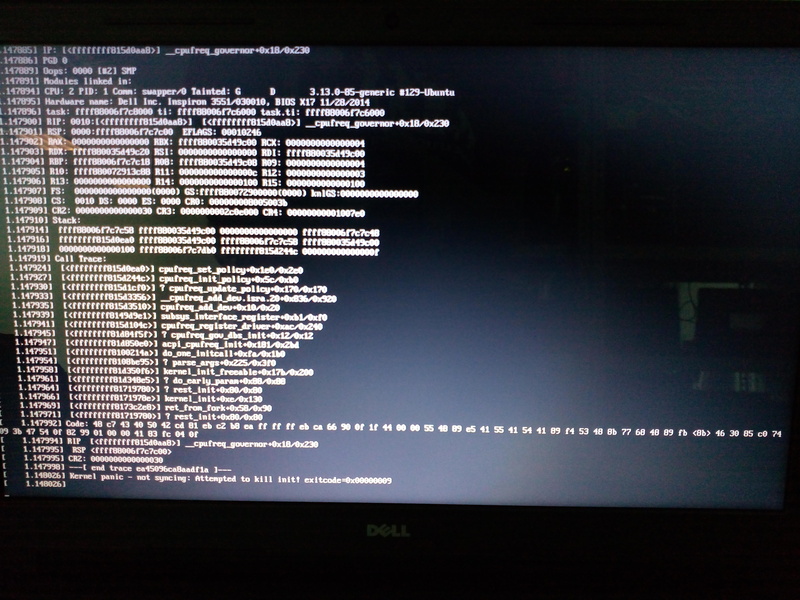 System will experience kernel panic on boot, if you press the power button to power down / on it again, it will enter the grub menu, sometimes it will be fine to boot from there, but I do encounter the problem that it will still hitting kernel panic when booting the OS from grub. The workaround to boot back into 3.13.0-85 is to boot into the pre-installed 3.13.0-38 kernel and reboot. Apart from some installation issue for the dkms module, the system can now boot normally without any kernel panic issue.